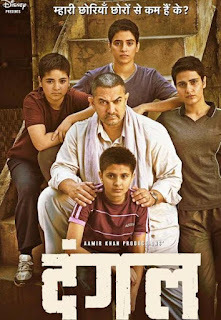 Dangal (Hindi) grossed 192.50 Cr nett in its first week as it added 19.75 Cr nett on its seventh day. The film has grossed over 20 cr nett on six of its first seven days which has never happened before. The first week total is the second highest ever after Sultan which grossed 209 cr nett but that had holidays over the Eid period. Here the film has been unlucky as the big holiday fell on Sunday but the period between Christmas and New Year is good for collections, The film has set three first week circuit records as East Punjab, Mysore and Tamil Nadu / Kerala set all time records for week one. These have out performed because film is Haryana based and tax free in Haryana from Wednesday so East Punjab is extraordinary while Mysore and TNK is where Aamir Khan is most popular star ahead of Shahrukh Khan and Salman Khan.